KYIV. 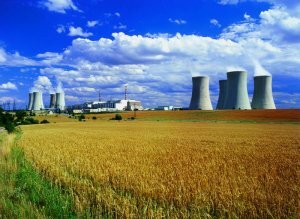 June 26 (Interfax-Ukraine) – National Nuclear Generating Company Energoatom saw UAH 988 million of net profit in January-May 2015, while year-over-year its net loss stood at UAH 2.645 billion. “One of the key factors influencing the financial result is expenses on exchange rate differences, purchase of foreign currency and payment of credit rates,” the press service of the company said. Net revenue from the sale of products in January-May 2015 totaled UAH 12.851 billion, which is 46.6% up year-over-year. The cash cost of products over the period fell by 0.6%, and gross profit of UAH 4.173 billion was seen. The press service said that this year the company had new expenses, in particular, interest for extended tax liabilities which total UAH 11.6 million now. “The expenses are linked with systemic non-payments by State Enterprise Energomarket for electricity generated at Ukrainian nuclear power plants. Only this year the Energomarket’s debt grew by UAH 1.679 billion, and as of May 31, 2015 the debt totaled UAH 10.477 billion,” reads the press release. Energoatom is the operator of all four nuclear power plants currently working in Ukraine: the Zaporizhia, Yuzhnoukrainsk, Rivne and Khmelnytsky power plants with 15 pressurized light water reactors and a total rated capacity of 13.835 gigawatts. KYIV. June 26 (Interfax-Ukraine) – The Economic Development and Trade Ministry of Ukraine has sent an official letter to the top managers of the PayPal international payment system with an invitation to enter the Ukrainian market, the ministry said on its website. Previously, the ministry with the support of the IT business community in Ukraine formed a working group which also consists of representatives of the National Bank of Ukraine (NBU) and businesses, in particular, the consulting companies Baker&McKenzie and Deloitte. “In June the ministry sent an official letter to the senior manager for Central and Eastern Europe at PayPal, where the ministry calls on the company to respond to the request of the Ukrainian IT community and enter the Ukrainian market. According to the letter, Ukraine has all the required infrastructure for the quick launch of PayPal, as well as a developed bank chain and a large number of payment card users,” reads the report. 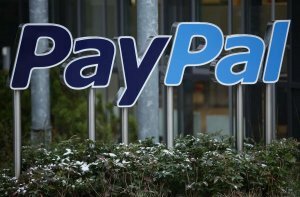 The ministry said that it would promote the processes of amending legislation to create favorable conditions for PayPal to enter the Ukrainian market. KYIV. 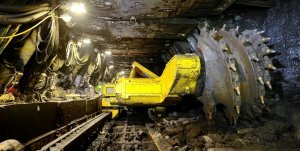 June 25 (Interfax-Ukraine) – The Energy and Coal Industry Ministry of Ukraine has announced a tender to search for potential buyers of state-run assets in the coal mining sector, the ministry’s press service reported on Wednesday. “The privatization of state coalmines, the major part of which are loss-making today, is intended to attract private investment to develop the coalmines thanks to financial resources, new technologies and management,” reads the report. The official invitation for potential investors to participate in the tender to acquire the assets has been posted on the ministry’s website with reference information about 35 coalmines. Ernst and Young and Deloitte will help looking for potential investors for coalmines. Investors are to send their requests to the ministry and advisors and can receive more details on the assets. The list of coalmines includes Krasnolymanska coalmines (produced 930,000 tonnes of rough coal in 2014), Novohrodovska 1-3 (636,000 tonnes), Stakhanov coalmines (547,000 tonnes), Pivdennodonbaska 1 (890,000 tonnes), Rossiya coalmine (725,000 tonnes) and others. KYIV. 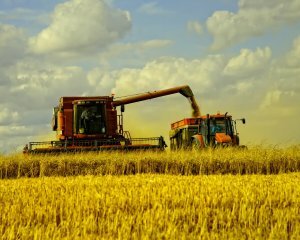 June 25 (Interfax-Ukraine) – Farmers in the southern regions of Ukraine have started harvesting early grain crops, and as of June 25, the first 20,000 hectares were threshed. “The harvesting campaign has started in Ukraine. First [wheat on] 20,000 hectares have been threshed. The favorable weather and first results promise a good harvest,” Agricultural Policy and Food Minister of Ukraine Oleksiy Pavlenko wrote on his Facebook page. As reported, referring to the ministry, grain was sowed in Ukraine in 2015 on 14.8 hectares: 7.9 million hectares with winter crops and 6.9 million hectares with spring crops. KYIV. 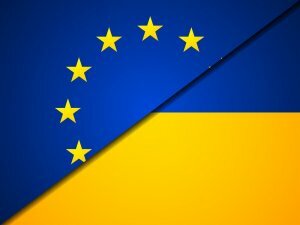 June 25 (Interfax-Ukraine) – The leaders of the European Union leaders should provide Ukraine with the prospect of membership to give impetus to a painful economic overhaul, Slovak President Andrej Kiska said. “What I’m missing from the EU is to give a really strong signal that, yes, we do consider you potentially to be an EU member,” Kiska said in an interview with Bloomberg released on Wednesday. He believes the protests that ousted President Viktor Yanukovych last year were driven by Ukrainians’ desire to belong to a democratic Europe. “People have to have a vision that now we are in tough times but it’s because we’ll have a nice future,” he said. “There’s no way we should do a reduction of sanctions or anything before the Minsk agreement is fulfilled,” Kiska told Bloomberg. KYIV. June 25 (Interfax-Ukraine) – President of Ukraine Petro Poroshenko and UniCredit Group board chairman Giuseppe Vita have discussed the prospects of improving the activity of foreign investors in Ukraine, the presidential press service has reported. The president noted the importance of cooperation with the Italian bank and the importance of cooperation between the two countries. He stressed the importance of Italian support of Ukraine, which is reflected in the recent position of the G7 and the European Union on extending sanctions against Russia. Poroshenko said Ukraine’s economic policy and legislative changes are aimed at creating the most transparent business environment, in particular – foreign. 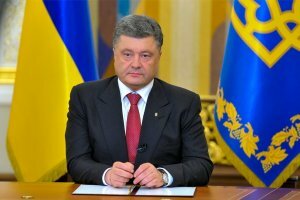 “Ukraine demonstrates real efforts in the fight against corruption, the rule of law, stability and ensuring a greater transparency of the financial and banking system,” Poroshenko said. “At the same time, the parties agreed that as a result of concerted actions of the Ukrainian authorities, including the National Bank, [the country] managed to achieve significant progress in establishing transparent, fair and favorable conditions for the activities of banks in Ukraine,” reads the report. “We are open for cooperation, and the operations of banks, including foreign [banks], and reliable partners such as UniCredit, are very important for us. The resumption of economic growth is impossible without the financial system, and UniCredit plays an important role in this system,” Poroshenko added. The UniCredit Group chairman in turn expressed his belief that Ukraine deserves a better future. Vita spoke about the long history of cooperation between Italy and Ukraine. “The position of UniCredit Group from 2007 until present time shows that we believe in the future of Ukraine,” he stressed. The two men discussed the further financial initiatives of UniCredit in Ukraine, the prospects of stabilization, and renewal of the Ukrainian economic growth.